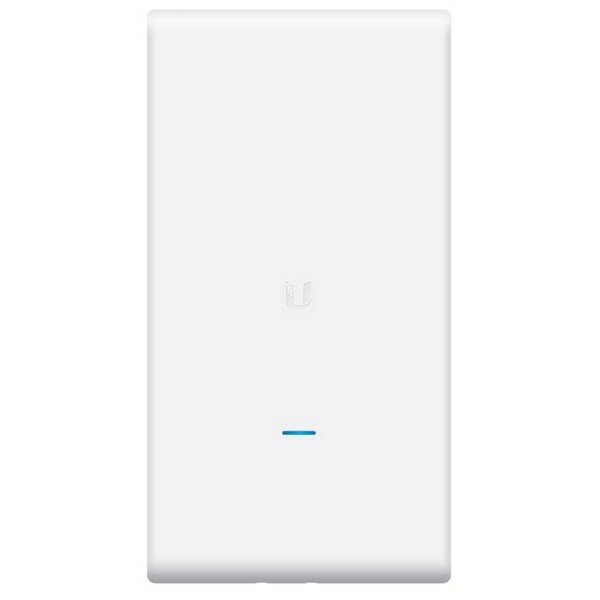 UAP-AC-M-PRO is powerfull wireless accesspoint 3x3 MIMO with modulation speed up to 450 Mbps for 2.4GHz band (802.11b/g/n) and up to 1300 Mbps for 5GHz band (802.11a/n/ac). 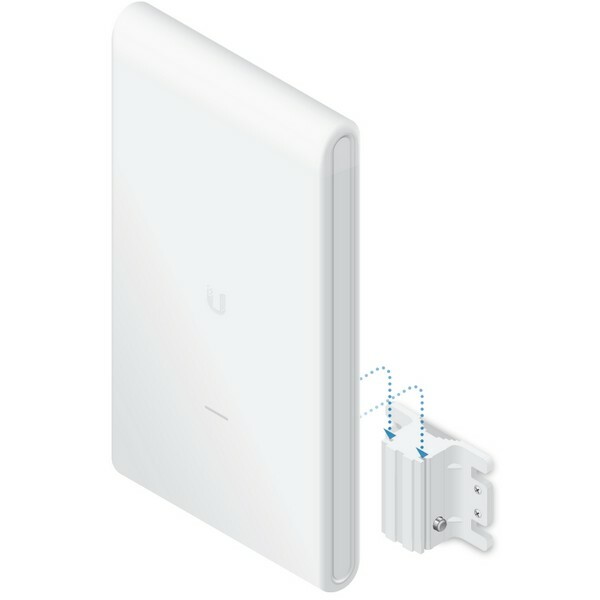 The enclosure of the UniFi AC Mesh Pro AP is designed to withstand the elements, making it ideal for outdoor deployment. 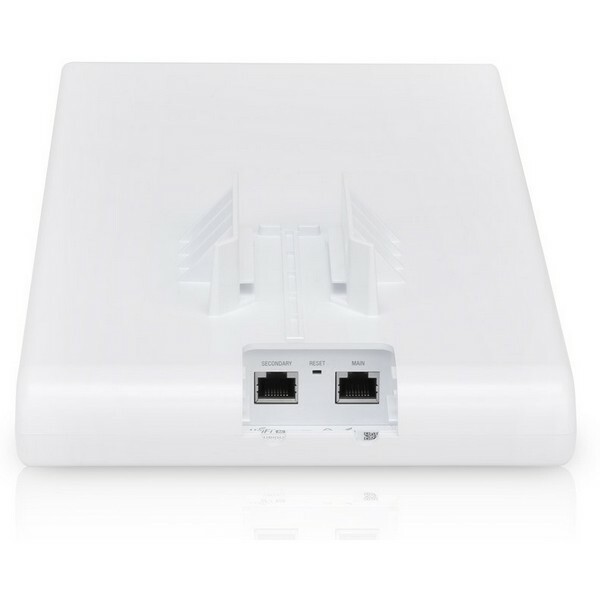 Built-in dual-band omnidirectional antennas deliver expanded range coverage outdoors. 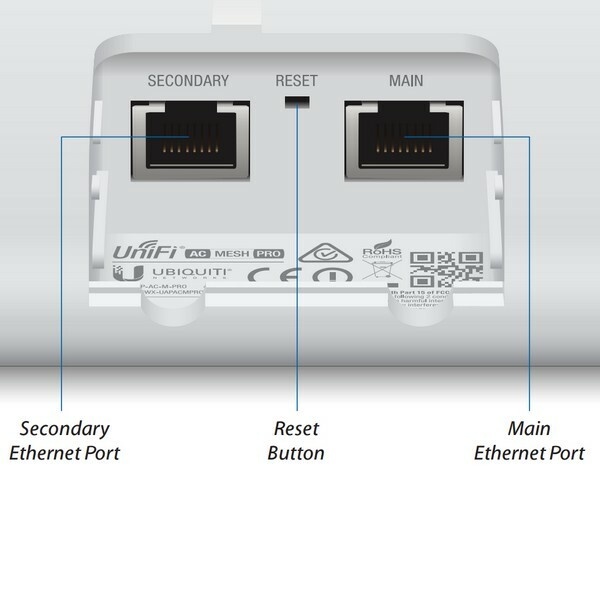 You can power the UniFi AC Mesh Pro AP with an 802.3af compatible switch, UniFi PoE Switch, or the included Gigabit PoE adapter. 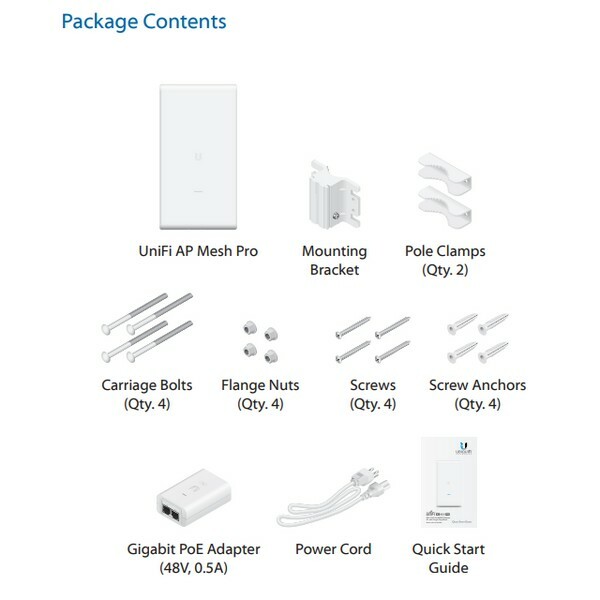 The UniFi AC Mesh Pro AP can be mounted on a wall or pole (all accessories are included).